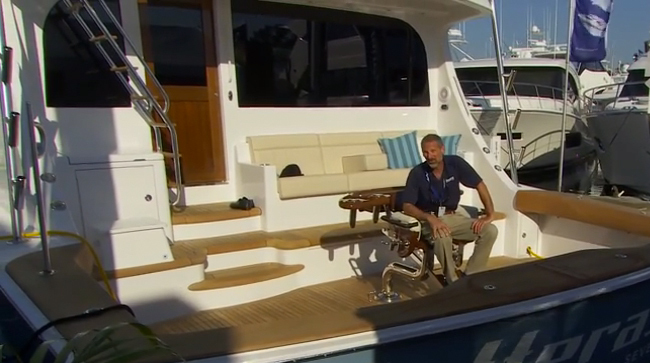 'Serenity' (formerly 'Inverness') is a rare find on the brokerage market. 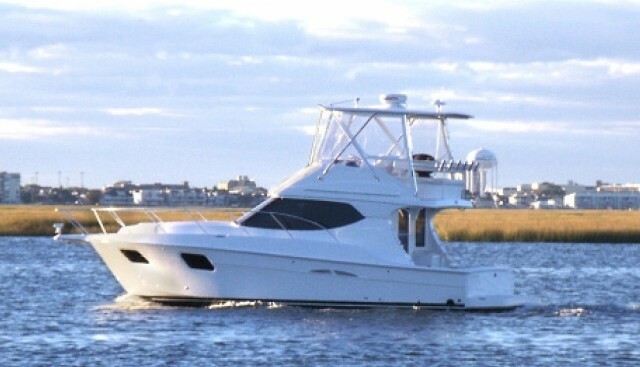 A rugged Taiwan-built flybridge cruiser featuring a two stateroom, single head layout and powered by twin Caterpillar 3208 diesels. 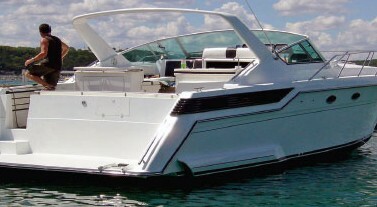 A spacious flybridge helm area with full canvas enclosure, large cockpit with center transom door leading to swim platform. Dual sliding glass doors open into an expansive main salon with beautiful teak interior, lower helm, and galley down. Master stateroom with island queen berth forward with side guest stateroom make for comfortable extended cruises. Info on the builder found in the PowerBoat Guide. "Built in Kaohsiung in Taiwan, by C&L Marine (a well known builder of production and semi-custom yachts), Sea Rangers enjoyed a good deal of popularity in the late 70s and throughout the 80's due to their affordable prices and rugged construction. 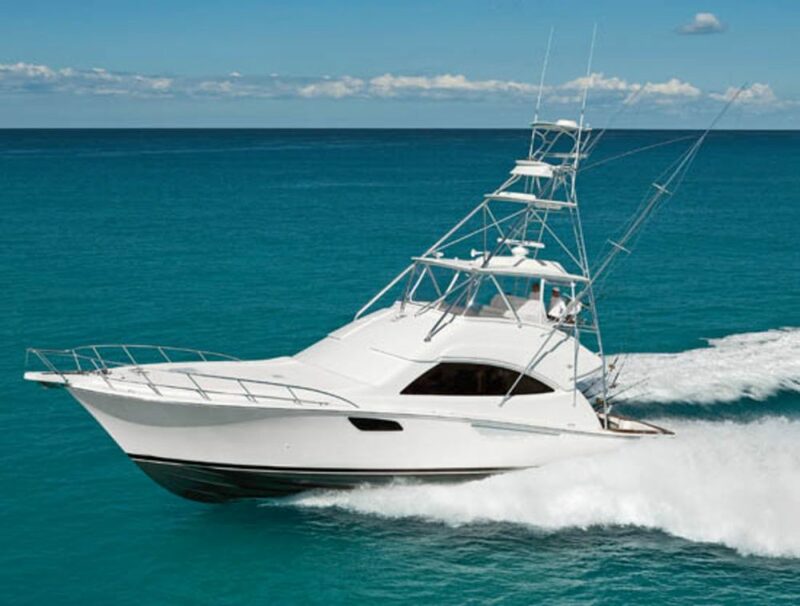 The company built a wide range of boats over the years including a number of trawler style designs as well as traditional double cabin, Pilothouse and motor yacht models. First sold into the West Coast boating markets, Sea Rangers never really achieved a national following since no dealer network was ever established. 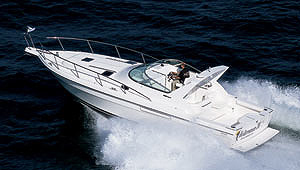 By the late 80s, the decline of the US Dollar against the Taiwan currency, together with the looming U.S. recession and general downturn in the boating industry, resulted in an end to the Sea Ranger line. 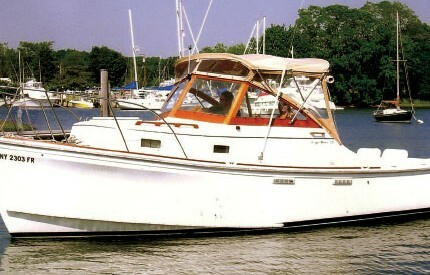 Production of the Sea Ranger series was moved from the C&L yard to King Yachts in 1988, but by 1991 the last of these boats had been imported in the U.S. market. LYB offers the details of this vessel in good faith but cannot guarantee or warrant the accuracy of this information nor warrant the condition of the vessel. A buyer should instruct his agents, or his surveyors, to investigate such details as the buyer desires validated. This vessel is offered subject to prior sale, price change, or withdrawal without notice.